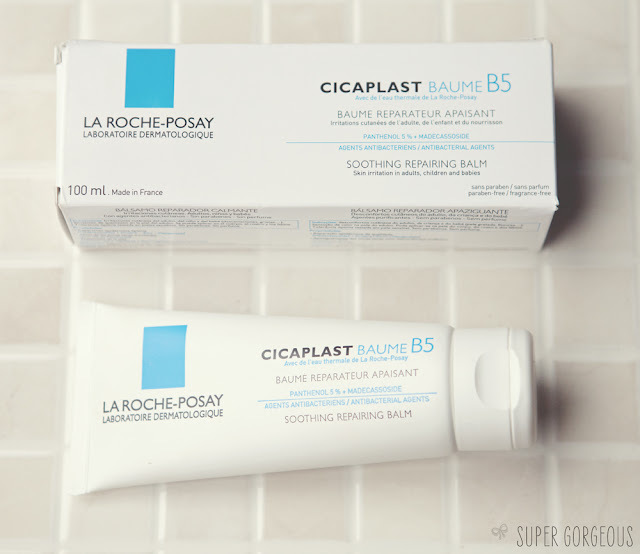 In the three weeks that I've had my it, my tube of La Roche-Posay Cicaplast Baume B5 hasn't quite made it into the depths of the cupboard - because I seem to be using it every single day! It's one of those multi-purpose products that seems to be so handy for so many different things - so far this week it's gone on the burn on my arm, the rash on my neck, my daughters chapped lips, my sons grazed knees and my dry cuticles. 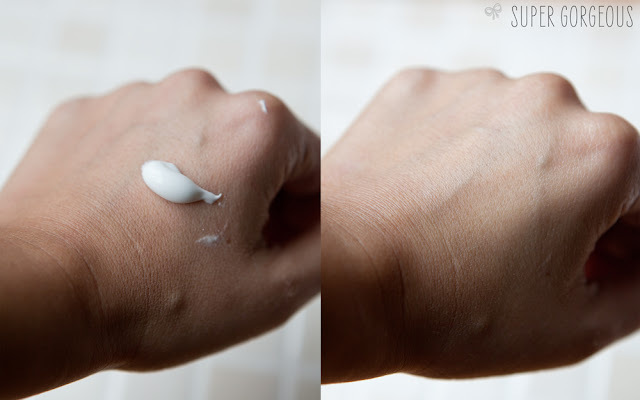 It is now known as 'magic cream' in my house - because any little "oww, I've hurt my x, y or z" results in me whipping out the 'magic cream' to make it better. When it comes out of the tube it looks like a cream but once it's blended into the skin it turns to a balm consistency and sinks in straight away. It's not oily, and is really comfortable on the skin, and soothing to any minor skin injuries. I can imagine it would be lovely to use after a skin peel or if you are suffering from really flaky skin. It's gentle yet powerful and thankfully, 'fragrance free' means fragrance free, rather than the fragrance of fragrance free - it really does smell of nothing, which I love! If you want to get sciency, it contains a form of Vitamin B5, and the highest dose of Panthenol found in any dermo-cosmetic treatment. Panthenol is responsible for reducing skin irritation, and relieving any feelings of itchiness due to it's anti-inflammatory properties.